for the 2017-2018 CCS Fellows’ concluding project presentations. 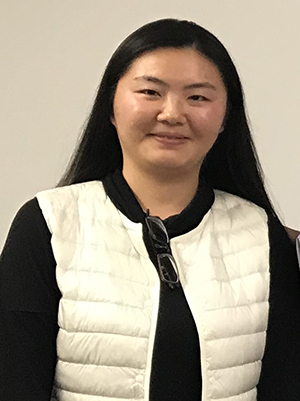 Bio Hanjing is a first-year Ph.D student working under the supervision of Dr. Brian Haus at the Division of Applied Marine Physics, University of Miami. She received her M.Sc. in Civil and Environmental Engineering in 2015 from HKUST. Her research interests focus on both fluid dynamics and morphology in coastal regions, by using laboratory and mathematical models she hopes to investigate the realistic evolution of the coastal environment. Hanjing does research in Civil Engineering, Ocean Engineering, and Remote Sensing. 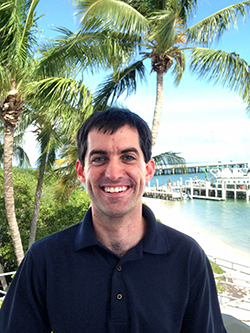 Bio Matt Grossi is a PhD student in Meteorology and Physical Oceanography at the Rosenstiel School of Marine and Atmospheric Science (RSMAS). He is working with Dr. Tamay Özgökmen and the Consortium for Advanced Research on Transport of Hydrocarbon in the Environment (CARTHE) towards understanding and predicting how spilled oil gets transported in the ocean using field observations, hydrodynamic models, and, as a CCS Fellow, neural networks. Matt holds a B.S. in Physical Oceanography with a minor in Meteorology from Florida Institute of Technology and a M.S. in Oceanography from the University of Delaware. Before coming to the University of Miami, he worked in the Ocean Observation Laboratory at the University of Massachusetts Dartmouth School for Marine Science and Technology (SMAST) where he oversaw underwater glider operations and maintained a regional network of high-frequency (HF) radar sites for monitoring coastal ocean surface currents in near real time. Bio Thomas graduated with a B.S. in psychology from the University of Delaware in 2014, and an M.A. in experimental psychology from the College of William & Mary in 2017. 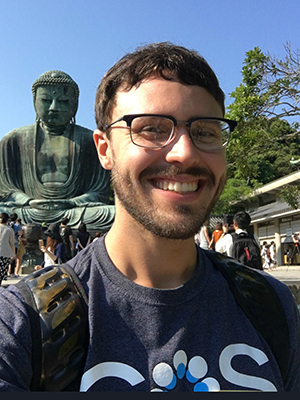 He joined the EHB lab in fall of 2017, with the aim of pursuing questions pertaining to the evolved psychological mechanisms underlying cooperation, punishment, emotion, and morality. His goal is to understand how these mechanisms interact with enduring ecological features by identifying points of variance and invariance in their function across diverse societies. He’s also interested in statistics, experimental methodology, reproducibility in psychological science, and meta-science. 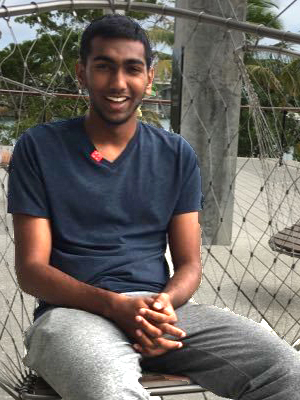 Bio Sathvik is an undergraduate student pursuing a degree in Biology and Mathematics (Applied). He is interested in emerging systems biology approaches to complex problems and is currently using coexpression network analyses of RNAseq data to ask about the molecular basis of Multiple Mutualist Effects.